Gone are the days of wondering if you put the door down or worrying over the kids forgetting their keys. 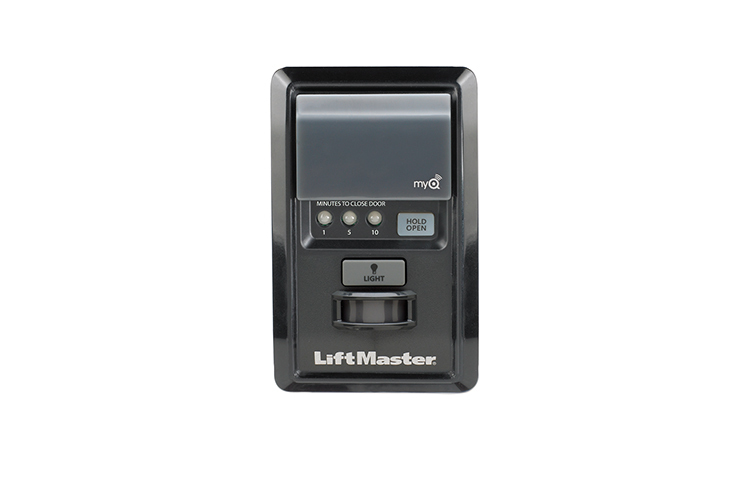 Now, any LiftMaster® garage door opener manufactured since 1998 can be controlled with your smartphone, tablet or computer thanks to the new 888LM MyQ® Control Panel (when paired with the 828LM LiftMaster® Internet Gateway, sold separately). MyQ® technology enables you to manage, monitor and control everything from your garage door opener to lights and beyond – anytime, and from anywhere. It also allows for simple programming of new MyQ® Accessories and Security+ 2.0™ remote controls and keyless entry products and features Timer-to-Close, that automatically closes the garage door after a pre-programmed number of minutes – making it easy if you have your hands full. You can also purchase the MyQ® Control Panel and the LiftMaster® Internet Gateway together in the MyQ® Package.